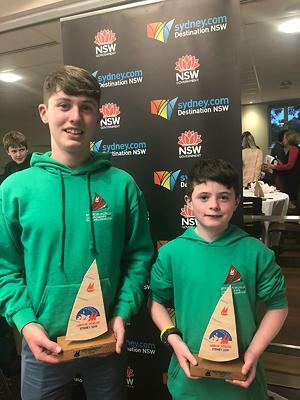 Congratulations to Eoghan Duffy, Lough Ree Yacht Club and Cathal Langan, Clontarf Yacht & Boat Club who are the Under 16 winners of the Mirror World 2019 championship. They finished 22 overall out of a fleet of 63 boats. The event held in Woollahra Sailing Club, Sydney. A full write up of the event can be found on Afloat.ie.